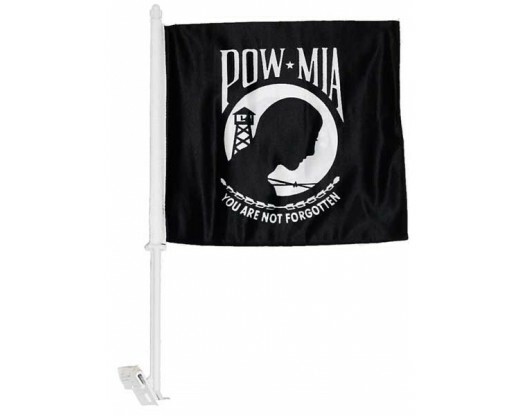 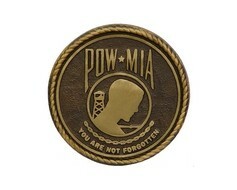 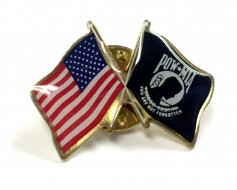 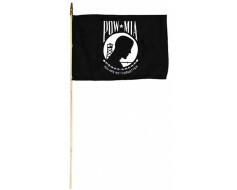 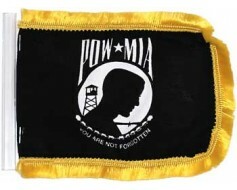 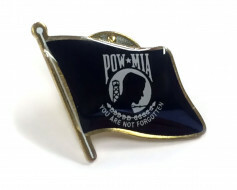 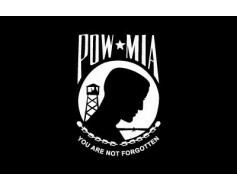 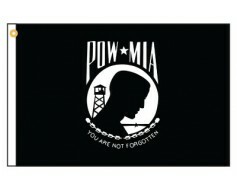 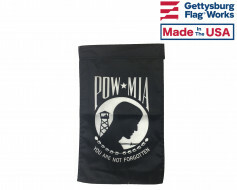 Double thickness, durable POW/MIA flag for mounting to the window of your car or truck. 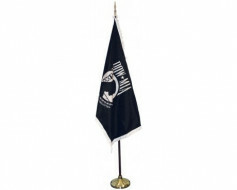 Digitally printed polyester on a plastic staff. 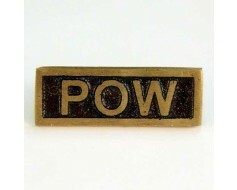 Mounted on a white plastic staff which slides over the top of your window. 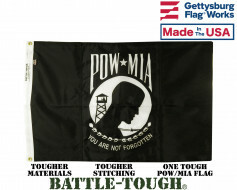 Military & other standard designs available.